1. 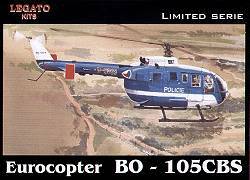 Legato have finally released their new 1:72 MBB Bo-105CBS #00272, which was first listed in 1999. This is believed to be a resin kit, the box shows a Czech Police aircraft. 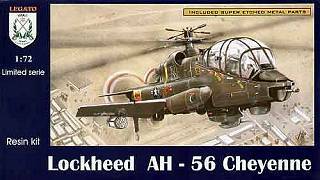 Legato's recently released 1:72 AH-56A Cheyenne is, as suspected, a re-issue of the resin & photo-etched Miku kit. It is not known what changes they have made, if any (except to the price). 2. Prop & Jet have released a vacform kit of the TsAGI A-12 single-seat wingless autogiro-fighter, #7210. It is also reported that Prop & Jet have produced a test batch of a corrected nose section for the Zvezda Mi-8T. 3. 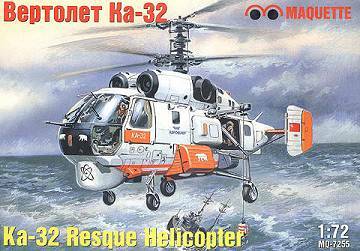 Maquette have released a 1:72 Ka-32 Helix. This is almost certainly the Amodel mould, but it has new markings for an Aeroflot 'Rescue' helicopter, CCCP-31000, possibly used in the Arctic (it has Polar Bears on it). 4. 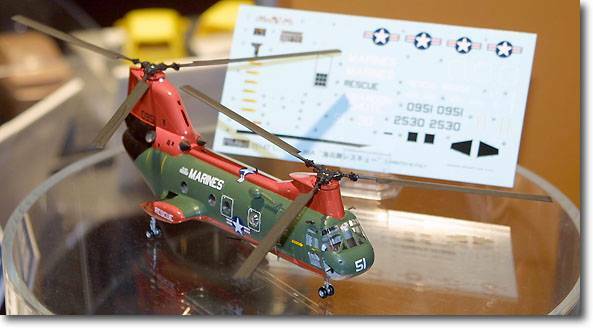 Fujimi's forthcoming USMC version of the 1:72 Sea Knight will be a CH-46D with two marking options, both are probably 'Rescue' schemes, one or both being International Orange and Field Green. 5. 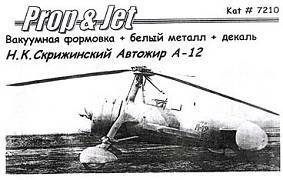 The June issue of Scale Aircraft Modelling claims that Trumpeter are intending to release a 1:48 Ka-27 Helix SAR, though as yet there seems to be no evidence of this elsewhere. 6. In November Anigrand Craftswork intend to release a 1:72 Bell XV-3 convertiplane, a welcome addition to the range now that the Eagle's Talon vacform version is so hard to find. 7. Nightflight have expanded their list of 1:35 H-53 models available for pre-order to include a CH-53D and an MH-53E. As with their forthcoming MH-53M and CH-53E, pre-ordered kits will be charged at discounted prices. Availability is currently estimated as being between Sep-03 and Jan-04 for the various versions. 8. Cobra Company's first venture into the decal market is now available, by popular demand - a set of Olive Drab markings for current SOAR MH-60 helicopters. They are available as individual sheets in three separate scales (#CCD3501. 4801, or 7201), or in a combined sheet of all three (#CCDFS01). This is a limited edition release so once they are gone, they are gone. 9. The recently released Model Alliance 'Premier Range' Sea King sheets #48103 and 72103 (HKN #158) are printed by the Fantasy Printshop, well known for their superb quality. 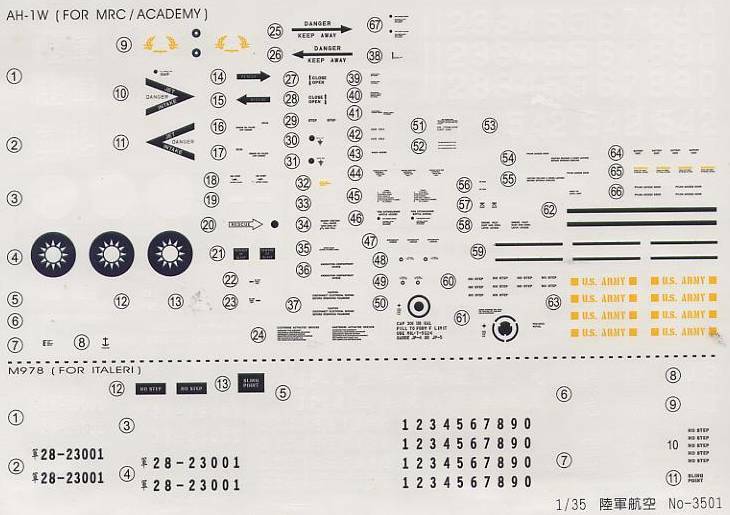 The decals are each separate on the backing sheet in the manner of mainstream decal manufacturers, rather than printed on a sheet of clear decal film in the way that Model Alliance's standard ranges are done. 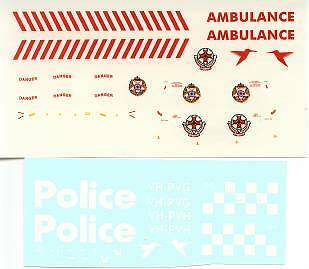 Their Victoria Police/Ambulance Dauphin sheet now numbered #PFA-7201 released at the turn of the year (HKN #156) includes some very detailed badges and some nice CHC 'hummingbird' logos. The lower sheet in the picture has been digitally enhanced to show its contents, which would otherwise be invisible against the almost-white background. Among the future releases listed at the new Model Alliance website there is a set of decals for an SH-60F in a Naval Strike and Air Warfare Centre desert-camoflage 'Soviet' Aggressor scheme. It is also of interest that Neil Robinson has resigned his position as Editor of Scale Aircraft Modelling magazine to join Model Alliance as Series Editor for their new publishing venture, which will include a re-launch of the Airfix Magazine as 'Airfix Magazine for Aircraft Modellers' as well as the 'On Target' range of aircraft monographs, each with its own decal sheet. 10. 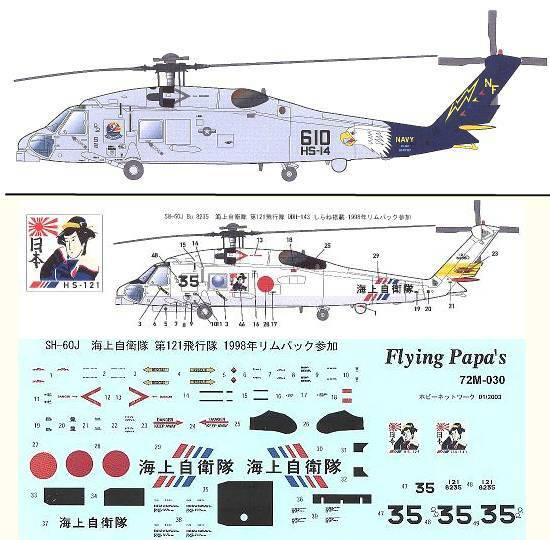 HKN has obtained samples of some of the Flying Papa's decal sheets (HKN #165) from Japan, with many thanks to their designer Shuichi Manei. They are printed on clear decal film, are very nicely detailed, and look to be very good quality. 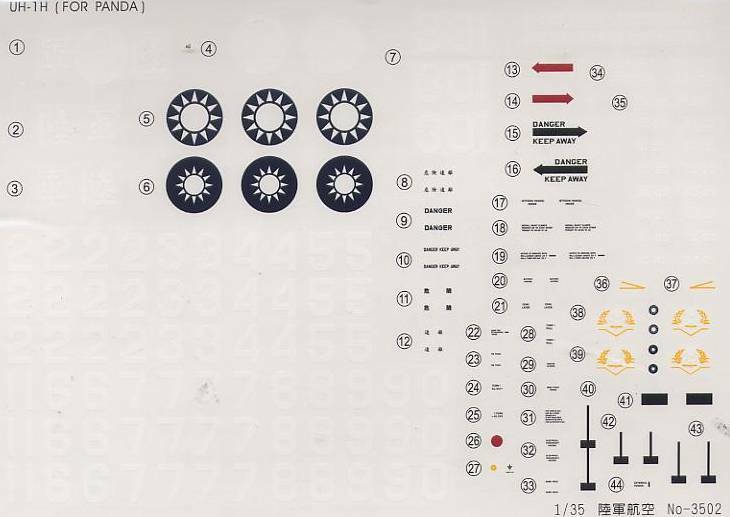 Some of the large areas of colour do show a dot-pattern when you look at them closely, but in almost all cases this is restricted to the red 'hinomaru' on the Japanese aircraft, and these are easily obtained from other sources if you feel it is necessary. Here's a look at just a few of them. 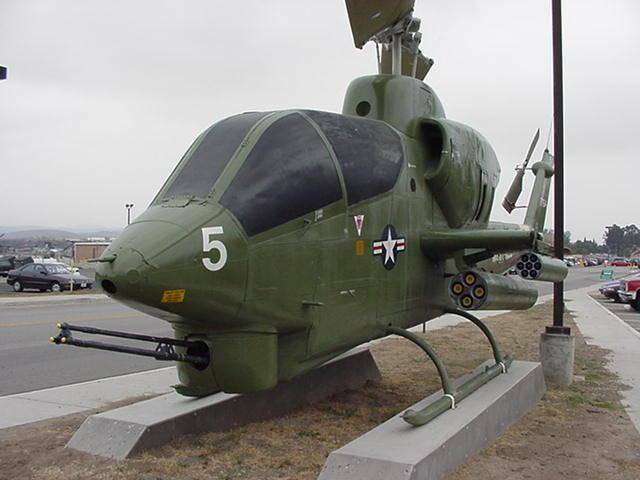 #72M-066 is a USMC AH-1J from HMA-369, activated at Air Station Futenma, Okinawa, in 1972 for Operation 'Marhuk'. It carries a Japanese character which I believe is something to do with tigers. This aircraft, BuNo 157764, is now on display at Camp Pendleton, CA, the current home of HMLA-369, though with different markings. 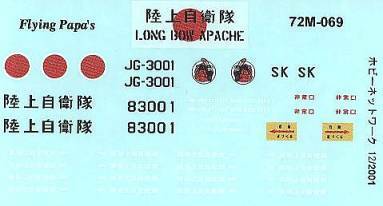 #72M-069 is an AH-64D Apache Longbow in a typical green, tan and black JGSDF camouflage scheme, which comes with the inscrutable slogan 'INDIANS ARE NOT MAKE RICE CAKE!' stencilled on both sides. 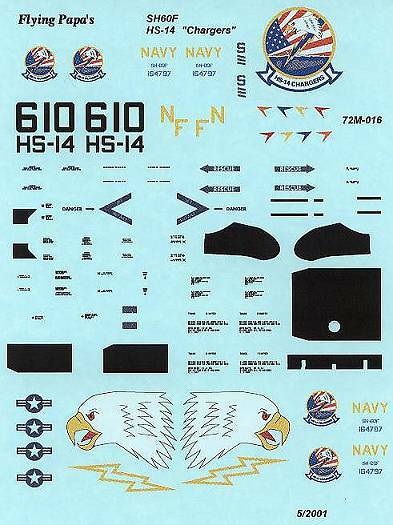 #72M-016 is a comprehensive sheet for an SH-60F from USN HS-14 'Chargers' with a blue tail-pylon, a large eagle's head, and other unusual markings. #72M-030 is another Seahawk, this time a JMSDF SH-60J from HS-121 detached to the warship 'Shirane'. This aircraft carries traditional Japanese artwork featuring a Geisha on the side of the fuselage. 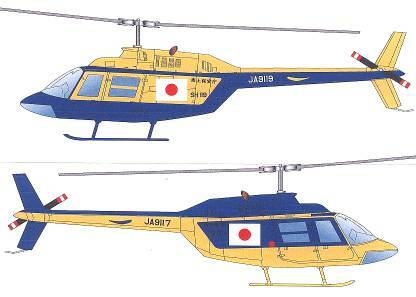 Last in this small selection from the full range is #72C-007, a pair of blue and yellow JetRangers from the Japanese Maritime Safety Agency, mirror-images of each other, colour-wise. 11. 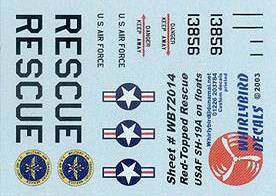 The latest decal sheet from Whirlybird, #72014, is called 'Red Topped Rescue'. This has markings for a float-equipped SH-19A, serial 13856, from the USAF 55th ARS based at Thule in Greenland. 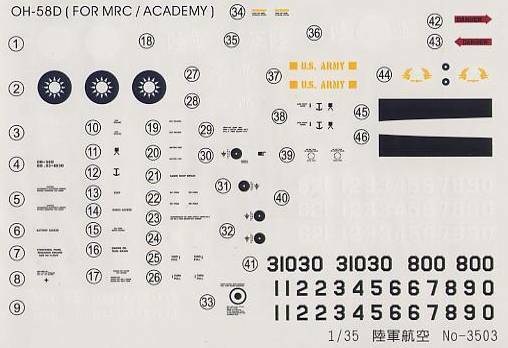 The next products from Tataga will be RoC Airborne Police Unit markings for the 1:48 AS365N1 / AS365N2 / AS365N3 (Trumpeter) and the 1:48 MD500D (Hasegawa or Academy). 72/044 will have a selection of HC.4 'Junglies' with various small items of noseart, and a re-print of the S-55 / H-19 of the Aeronautique Navale that were sold out. 14. 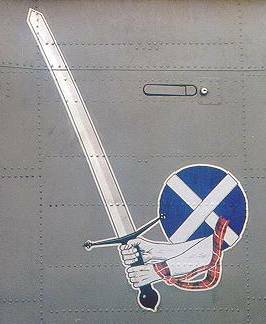 Two Bobs Aviation Graphics are planning to re-issue their 1:35 'Whiskey' decal sheet, since the first batch was sold out within two weeks of publication. 15. The latest resin figure set from Czech Master's Kits is #72080, a Vietnam era 3-man US helicopter crew, pilot, co-pilot, and door gunner, intended for Hueys. 17. Len Lundh's book on the S-62 / H-52 has now been published by Schiffer Publications, and is reported to be just as good as his previous work on the S-58 / H-34, as well as his 'U.S. 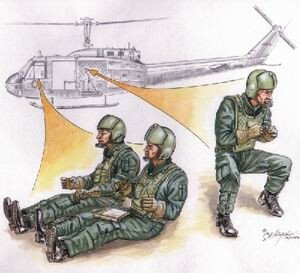 Army Aviation Color Schemes & Markings'. 18. Late Extra There is a very comprehensive and well illustrated review of the new Academy 1:35 AH-60L DAP #2217 at the PMMS (Perth Military Modelling Site). Thanks to Tony Morgan, Petr Zaoral, Jaroslav Spacek, Gary Madgwick (Model Alliance), Carrey Knight, George Filyagin, Suichi Manei (Flying Papa's), Pawel Zerdzicki, Jean-Pierre Desprez (Model Art), Chris Miller (Cobra Company) and Terry Ashley (PMMS).